When Charlotte McDougal finds her grandmother’s journals in the attic, she publishes a novel based on the woman’s life and times with serial killers Burke and Hare. After the release of the novel Charlotte’s life is threatened.Long time family friend and lawyer Gavin Daniels devises a plan to hide her in the United States.She’s soon discovered and the chase is on. 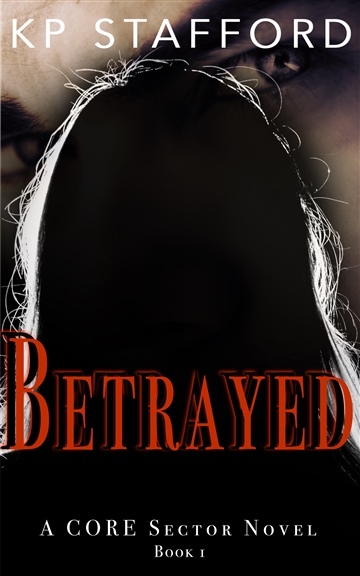 Her neighbor, ex-cop Frank Temple comes to her rescue and vows to help her get her life back in order, but can he be trusted or is he part of the covert group who’s after her? Can she afford to take a chance and trust this man? If he’s on the up and up, how far will he go to protect her? KP is a mom, nana and musician’s wife. Music is a huge part of her life. When she isn’t writing, she’s out living the music life with her husband.She’s always loved things mysterious and a bit kookie. Vincent Price made a big impact on her when she was a child, as did The Munsters and The Addams Family.She now tries to bring her, sometimes twisted, blend of "mystery and reality" to life in her books.